Reduce your costs while maintaining your plant at a consistently high level of quality, and rely on our many years of experience in operation management. We take on the entire water management of your process water treatment, cooling water treatment, and wastewater treatment plants on your behalf. 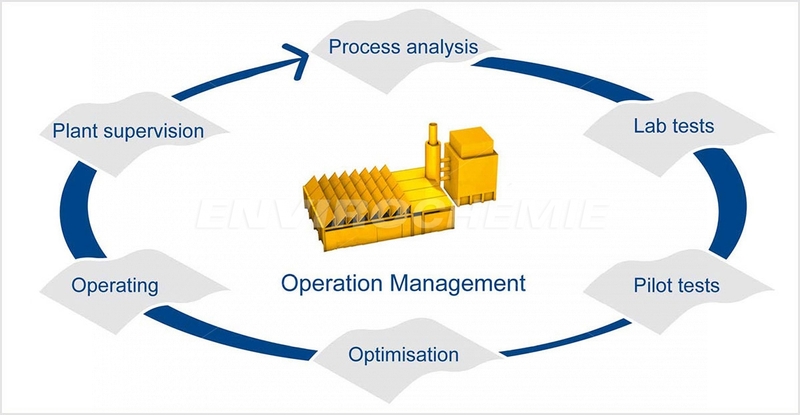 This allows you to significantly reduce the overall costs of the plants. We analyse the entire life cycle of the plant. In doing so, we do not compromise on quality. As a technology partner, we assume complete responsibility for your water treatment plants: for the quality of all water types, from pure water up to highly polluted wastewater. For water quantities of between 5 m³/day and 50,000 m³/day. On request, we also take on the supply of compressed air, steam, process chemicals, and gas supply.